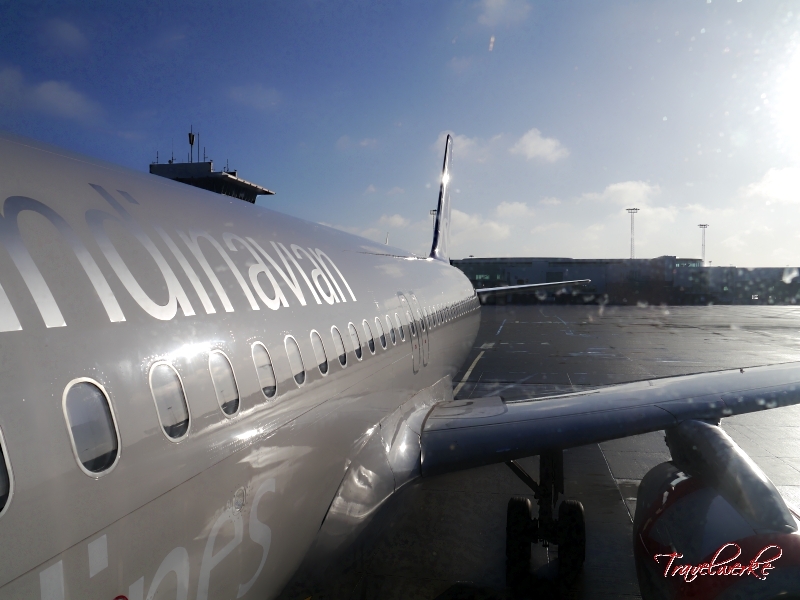 Founded in 1946 to be the flag carrier of Denmark, Norway and Sweden, SAS Scandinavian Airlines epitomises the close relations and cooperation enjoyed by the countries. 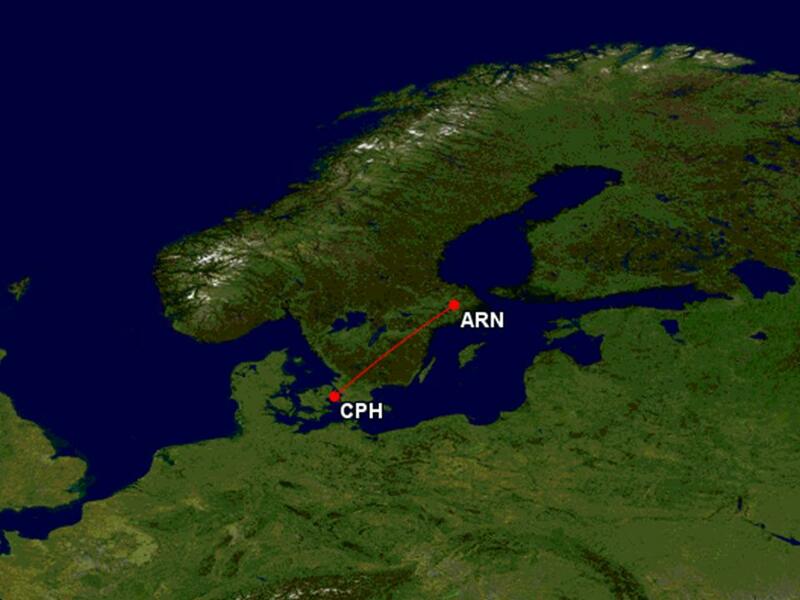 While still the largest airline in the region, the Star Alliance-founding member is increasingly facing competition from low cost carriers eager for a slice of the Scandinavian air travel market. 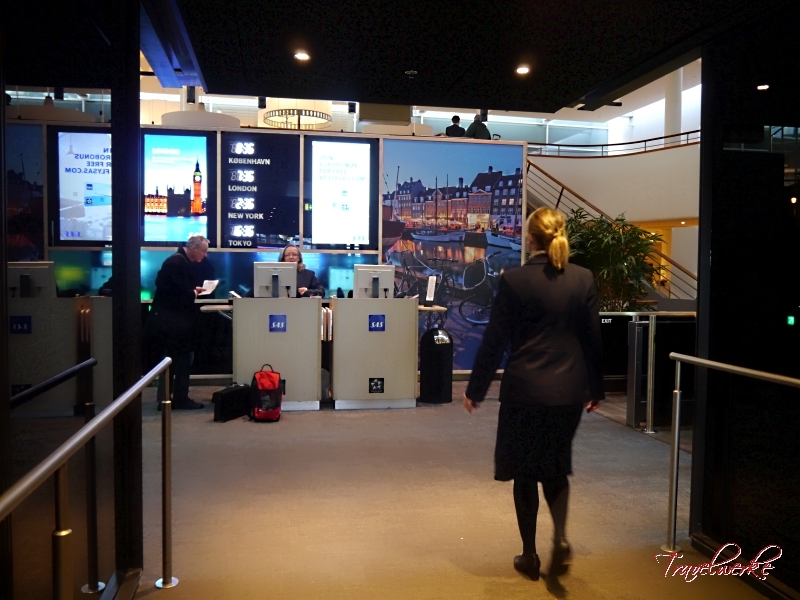 This was a last-minute booking as our original flight on another airline was cancelled, necessitating a search for an alternate means of getting to Stockholm from Copenhagen. 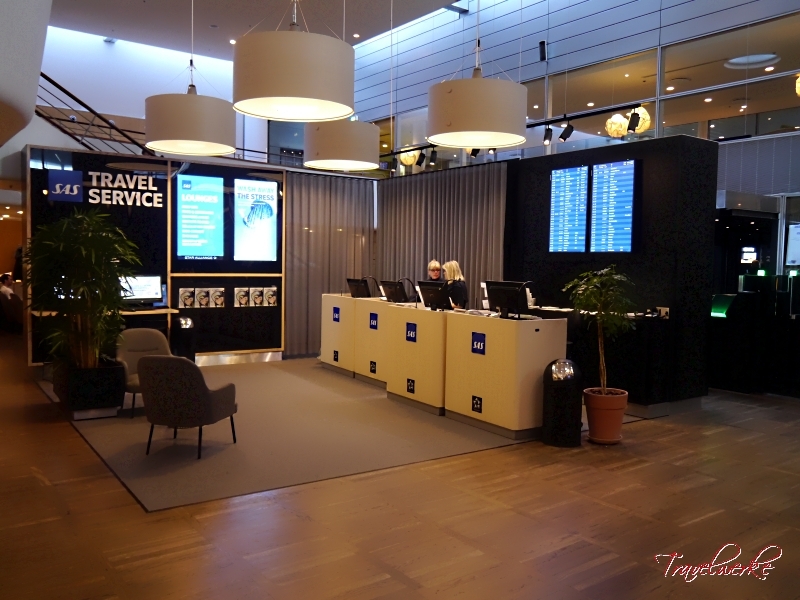 With the Danish capital being the main hub for SAS Scandinavian Airlines, it would offer us the best options and a booking was made for the morning departure. 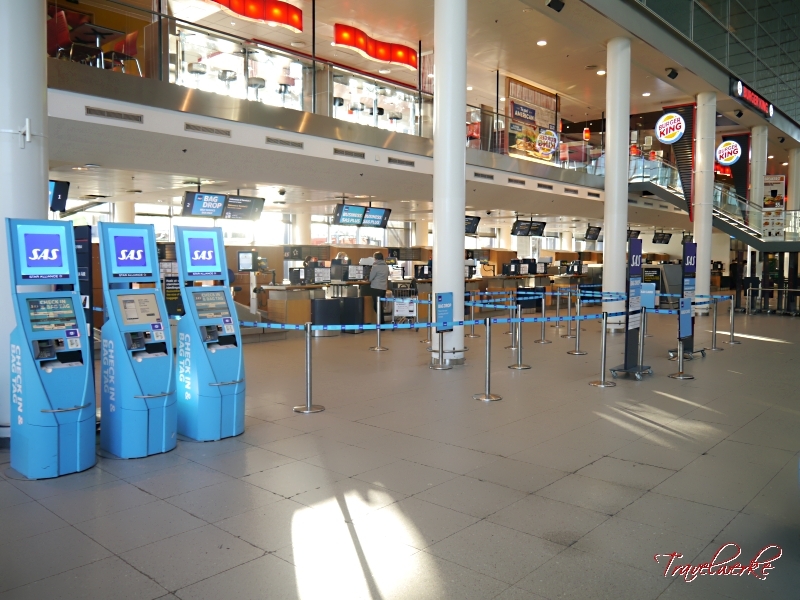 Having bought the tickets from the SAS ticketing desk at the airport, we were checked in by the friendly agent and only had to drop off our checked bags. 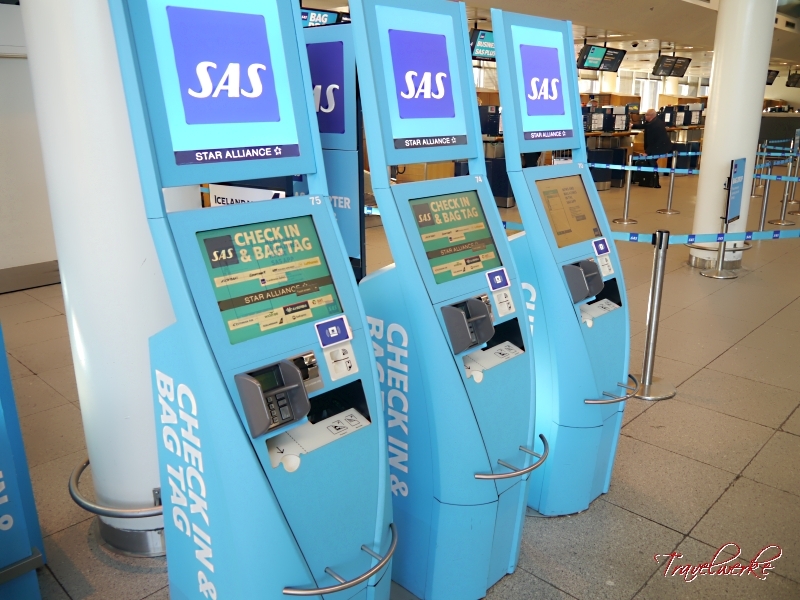 Flying the premium SAS Plus, this was performed at the manned counters effortlessly and we soon had our bags tagged and on the way to the hold. 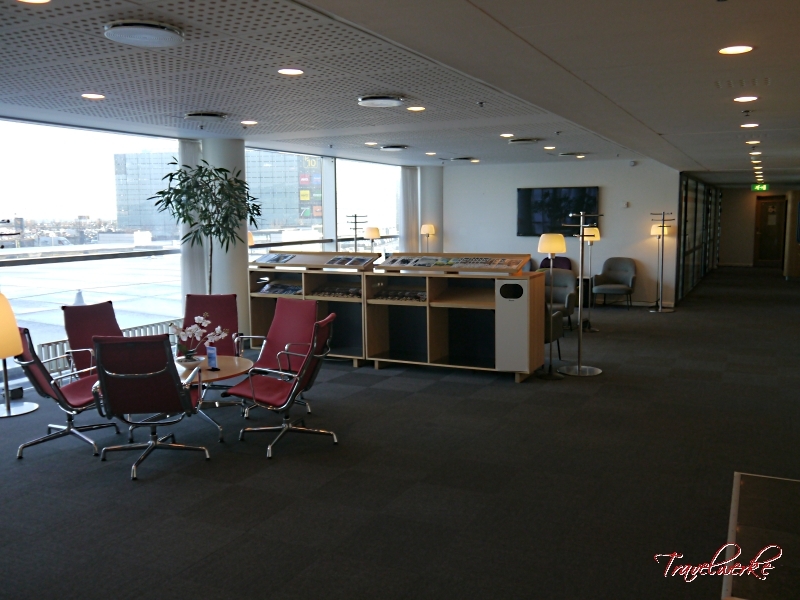 The SAS lounge in Copenhagen Airport is the airline’s flagship lounge at its intercontinental hub and was conveniently located beside the fast track security lane used by premium passengers. From the get-go, it was pretty much a self-service concept with boarding pass scanners replacing the lounge dragons at the entrance. Inside, the airline had set-up a continental breakfast buffet, with a spread of cereals, cold cuts and breads comparable to a decent business hotel. 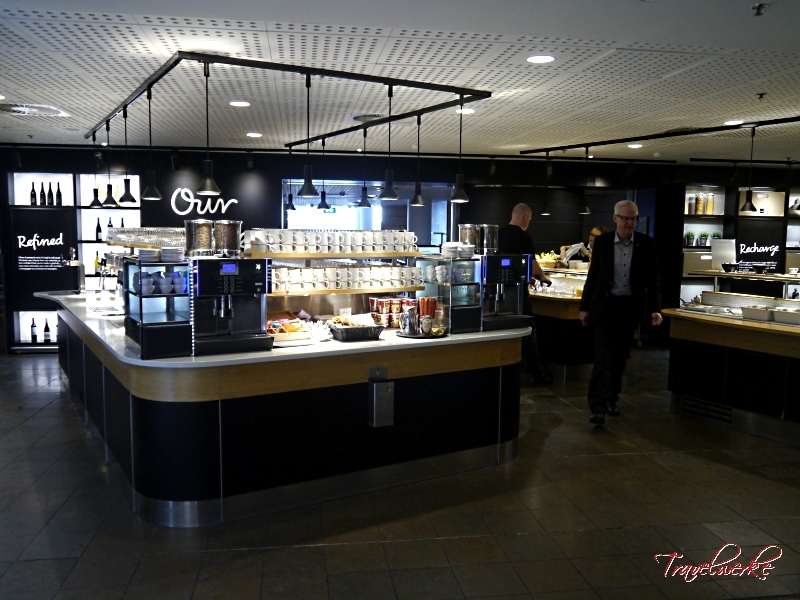 Coffee/tea, juices and alcoholic beverages were also available, as were some fruits and nuts. 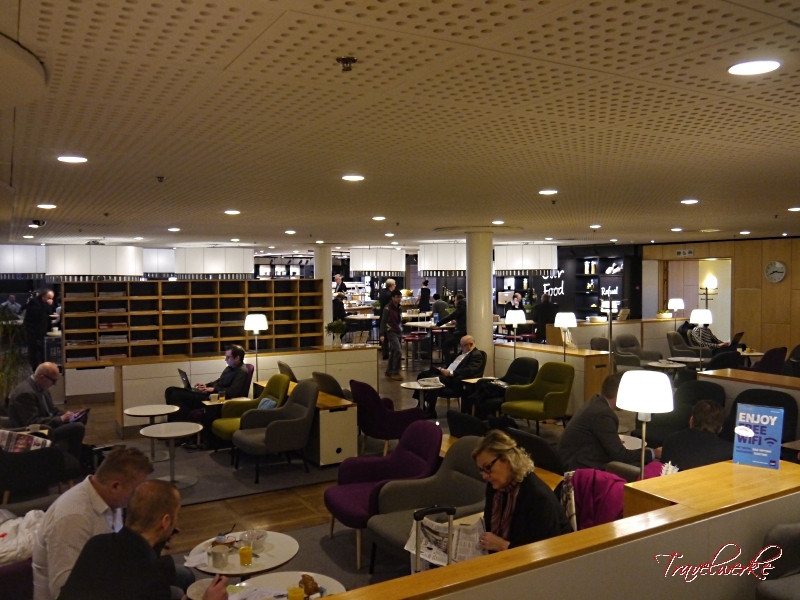 We were there during the morning hours, so the majority of the lounge was occupied by executives flying regionally, but there remained ample seating in the distinctly Scandinavian space. We appreciated the complimentary and fast Wi-Fi connection for our mobile devices, while a separate working area with power plugs and PCs could be utilized for passengers who did not bring their own. 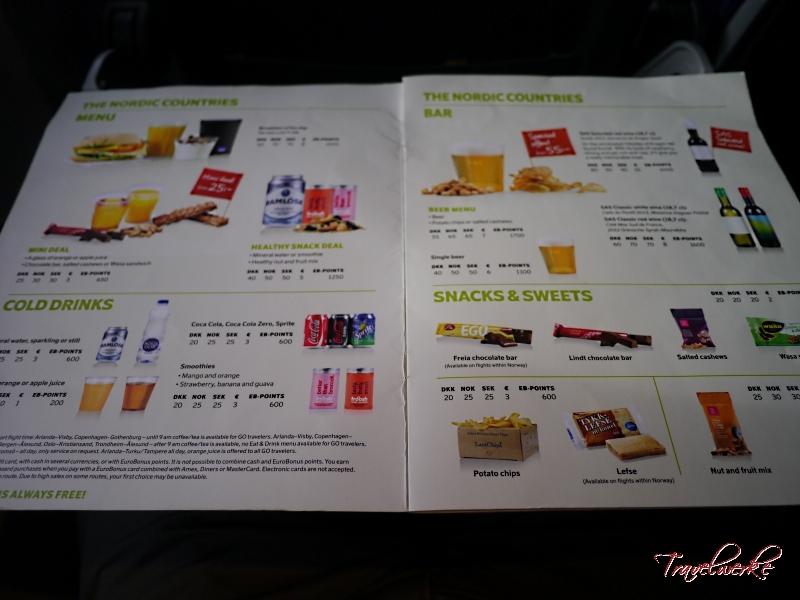 There were also plenty of reading material and literature in the lounge for passengers to take with them, although the majority were in a Scandinavian language. 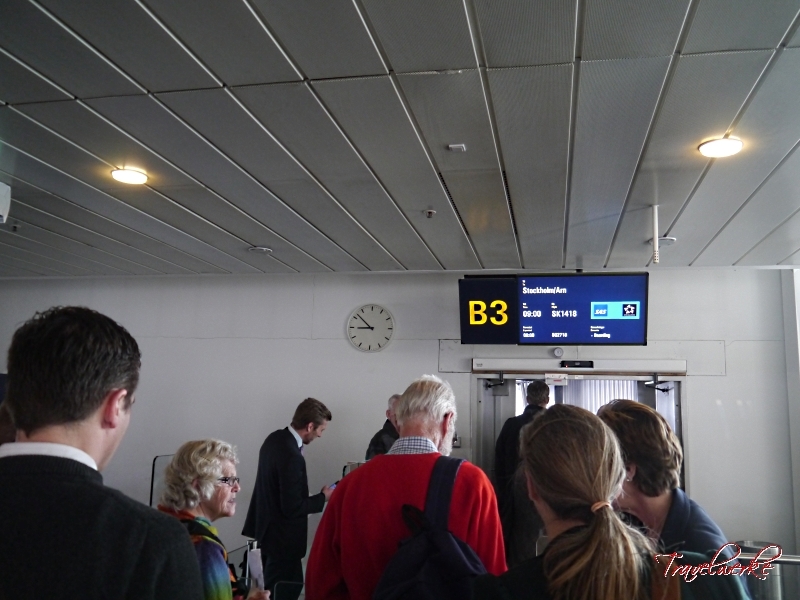 A crowded gate area greeted us as we arrived to join the aircraft to Stockholm. When it was time to board, the gate agents announced priority boarding but pretty much did not enforce it, as nearly all the passengers surged forward to scan their boarding passes. 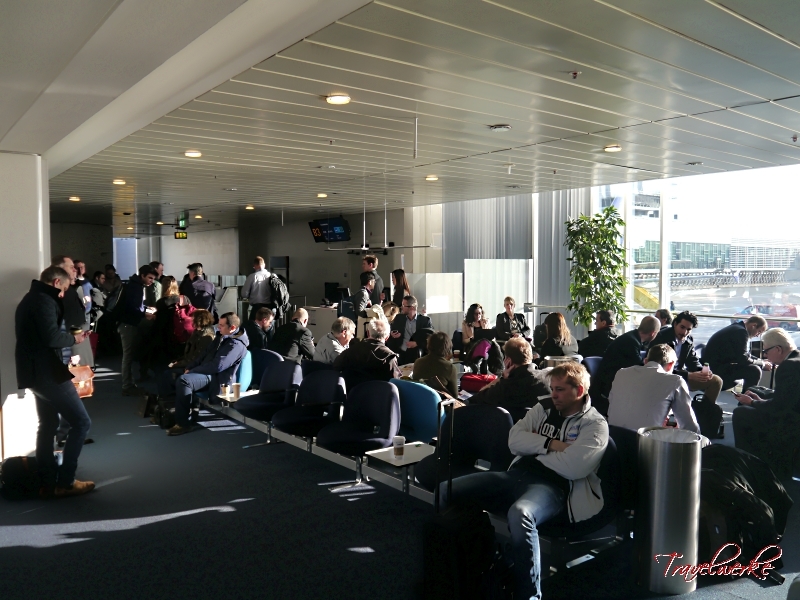 This was a very full flight, but the boarding process was still relatively orderly with passengers patiently queuing and waiting on the aisle for others. However, the crew were rather subdued and did not proactively welcome or assist passengers with finding seats or stowing bags. It was pretty much a process of following operating procedures once the doors were closed. 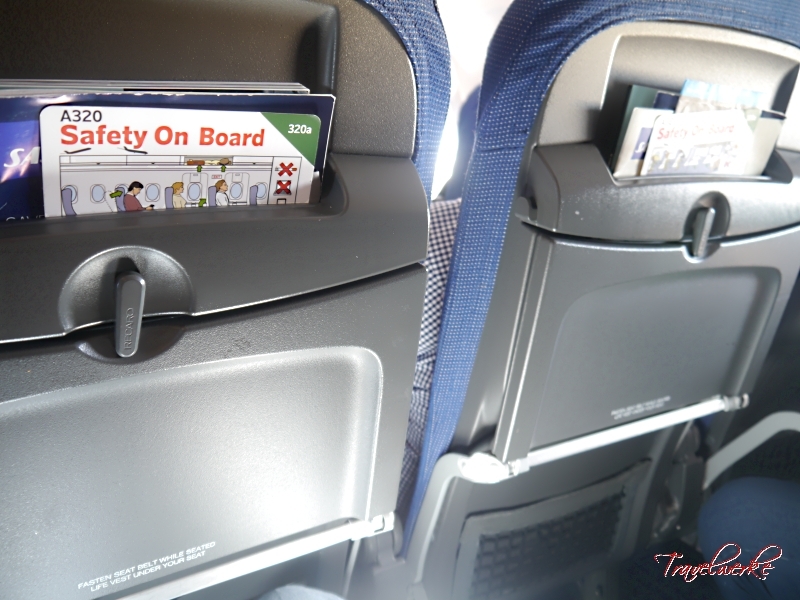 The seats on this SAS Scandinavian Airlines Airbus A320 were of the slimline type from German manufacturer Recaro, clad in the airline’s blue-colored upholstery. Similar to the intra-European premium product offered by the competition, the seats were the same as the economy class hard product with a few additional inches of legroom. 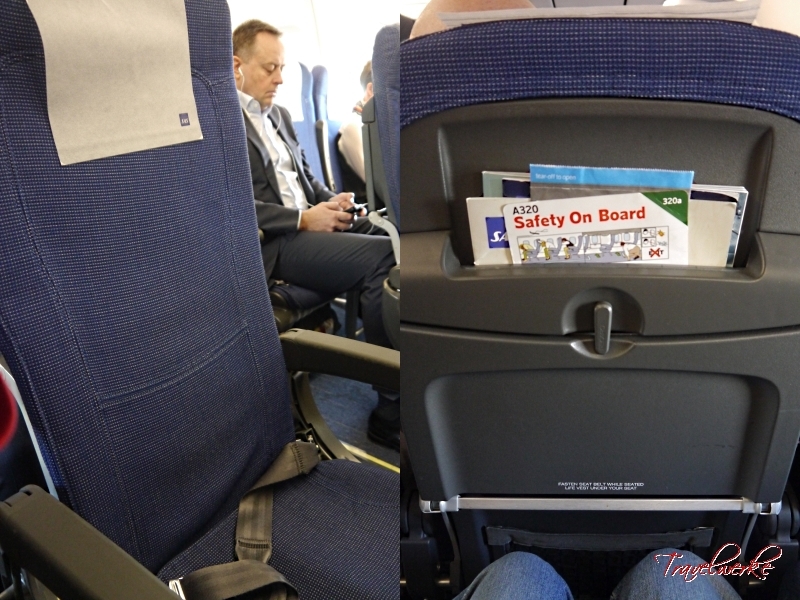 Contrary to some travellers, we found the seat to be comfortable for the short 1-hour hop to Stockholm, providing the needed support whilst not being overly hard. Legroom was also decent, helped by the position of the literature rack higher up the seatback, giving additional knee space. The flight was staffed by an all-Scandinavian crew, comprising of the purser, a senior flight attendant and 2 other flight attendants. The former 2 worked the front of the jet, with duties further down taken care of by the junior crew. The initial coldness of the crew began to warm up once we were underway and meal service started. They were not overly friendly, but conducted themselves in a highly-professional manner offering food and drinks during the short sector. 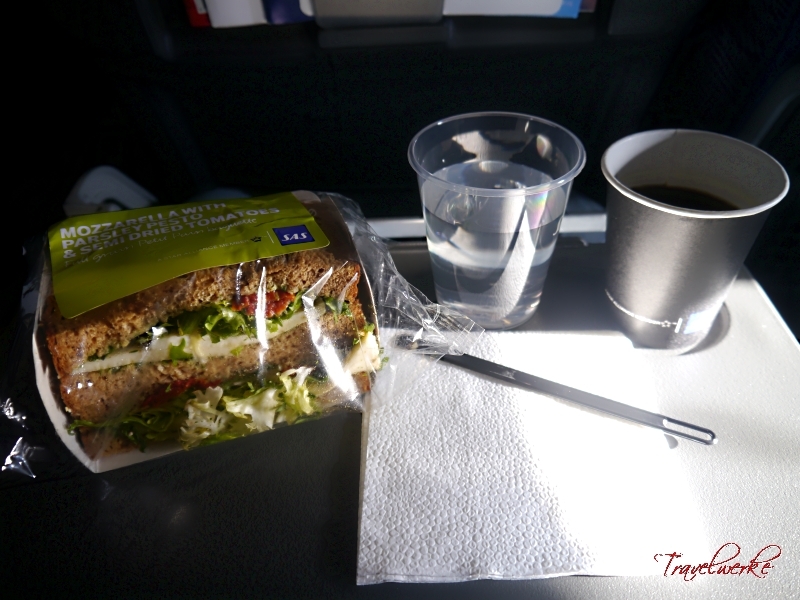 SAS offers a complimentary refreshment service to passengers in SAS Plus, consisting of a cold sandwich, coffee/tea and cold beverages. We had a choice of a salami-and-cheese or a cheese sandwich on this flight, which was a nice supplement to the breakfast we had earlier in the lounge. 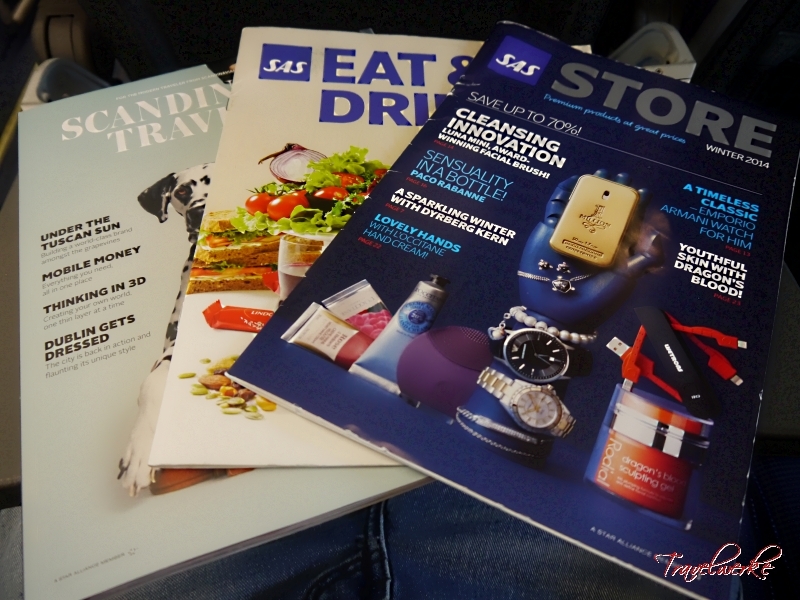 For SAS Go passengers, the airline conducts a buy-on-board service for muffins, biscuits, light snacks and cold beverages. 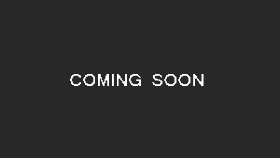 This could be conveniently paid for using credit card, cash (all major Scandinavian currencies accepted) or frequent flier points for members of the EuroBonus frequent flier programme. Entertainment on this short sector was limited to the inflight magazine, Scandinavian Traveller, which had features on travel and boating, a favorite pastime in the region. 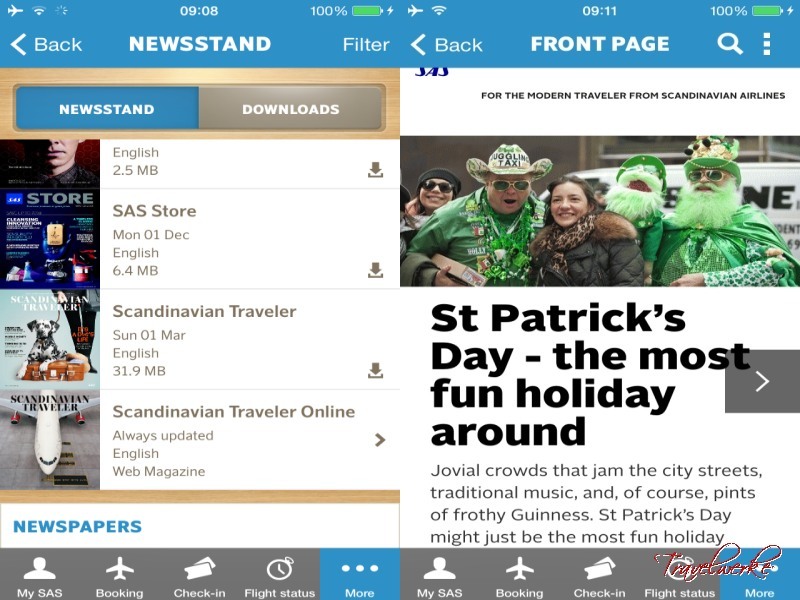 The airline had also stopped providing paper newspapers for environmental concerns, offering these in soft-copy instead through its mobile app. 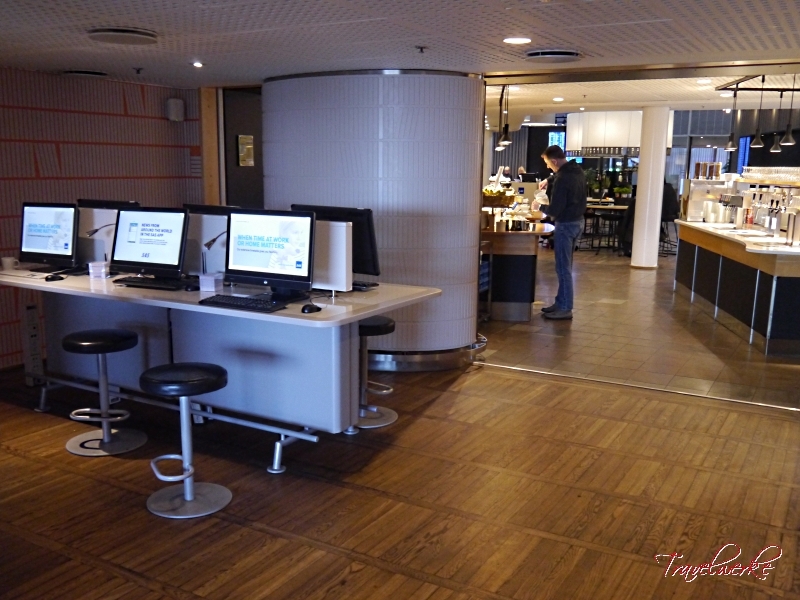 Together with this, passengers were free to use their electronic devices gate-to-gate in flight mode. After a short cruise, we were soon descending into a cloudy Stockholm (Arlanda) airport, where we touched down smoothly onto Sweden on-time. There was a slight delay entering the parking bay, but once that was done the doors were quickly opened and we were on our way towards baggage reclaim. Priority tags ensured our bags were first off the belt for a hassle-free exit.